For better understanding of medical problems and developing the skills of diagnosis & management without causing injury & inconvenience to the patients live condition mannequins which are real live situation study materials are provided in a state-of-the-art Skill Development Lab. There is no time limit to study, understand and do maneuvers. Demonstrations of various organs, nerves & senses are given to the students through sophisticated software fitted mannequins. An emphasis is being given for skill based integrated teaching provided by highly experienced & specialised faculty in concerned area of interest in a learning friendly environment. A special time is being allocated for such integrated teaching in the time table in every semester. Centrally air-conditioned Library is a vital resource and it serves as a nerve centre for all academic and intellectual student pursuit. A rich collection of carefully selected books in all areas of pre clinical, para clinical, clinica, as well as Post Graduation are a part of our impressive library. The library in it self-stock has latest edition & reference books of national and international authors; National and Foreign Journals and Periodicals; video cassettes, audio cassettes and national newspapers. The Library houses an audio-visual lab where students can view from the collection of videos and microfilms. Book Bank facility is also available whereby students can get books on loan for the whole semester. 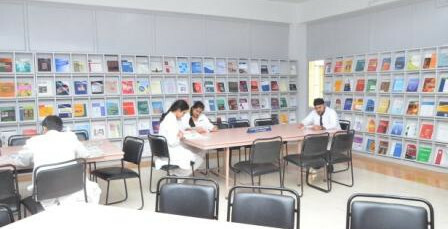 Library provides a very healthy environment for reading and consulting. Photocopier facility is also available at a very concessional rate. 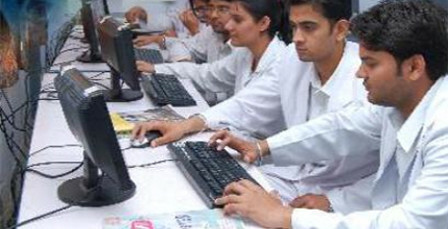 Computer Centre plays a critical role as a learning centre both for the students as well as faculty. This state-of-the-art facility is equipped with latest computers networked on LAN and have core 2 duo Intel Processors, 1 GB memory, 80/160 GB Hard disk drive with 15″ LCD colour TFT. The Computer centre has 24 hrs. Internet Connectivity & is equipped with facilities such as Scanner, Laser, Dot & Inkjet Printers. All students are given a personal computer account, e-mail address, network drive, personal space on the Web Server and access to the internet. Computer Centre is open round the clock. 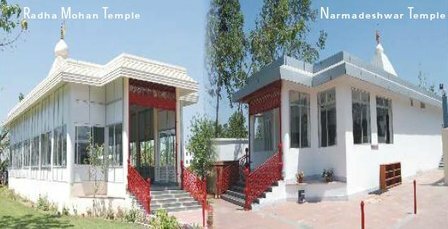 Radha Mohan Temple dedicated to Lord Krishna & Radha and Narmadeshwar Temple dedicated to Lord Shiva & family are situated just outside the college main gate. The temple provides a spiritual environment to students and faculty members alike. Many festivals like Janmashtami, Shiv Ratri, Chatth Pooja etc. are celebrated with traditional gaiety in the temple. 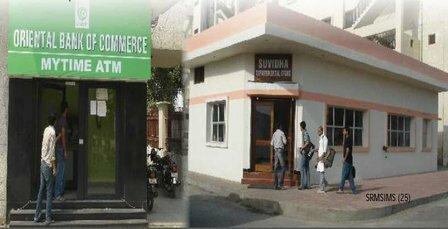 Oriental Bank of Commerce has a bank on the campus and also provides 24 hrs. ATM Facility & Locker Facility. Also, in campus, a small super market with all sorts of household items available at nominal prices. The Institute provides facilities to students to pursue a wide range of sports activities on the campus. 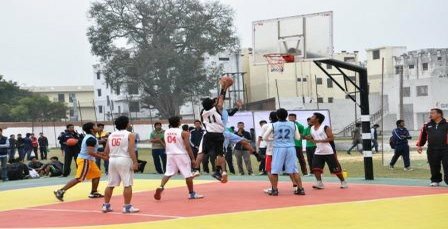 The outdoor facilities include athletics, hockey, football and cricket fields; basketball, volleyball, tennis and badminton courts and an indoor recreation hall for table tennis, chess, carrom etc. Besides the episodic events, Cafetaria (13 Point Restaurant), Nescafe & Amul’s Cold Drink and Ice-Cream points are the places where students get a lot of relaxation and enjoy their free time. The campus also has a well equipped modern gymnasium for student & staff to stay healthy enough to cope with stresses posed by modern day life. 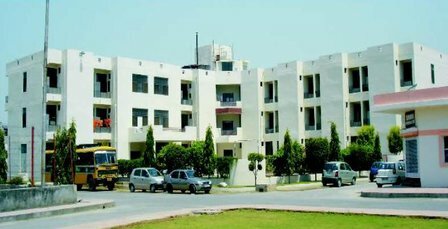 The Institute has on campus residential facilities for Faculty Members, Residents, Paramedical and Administrative Staff. The residential area is located on a sprawling and pollution free area and provides healthy condition for living. Withing the residential area it has a Children’s Park, a Garden and huge parking space. 24 hrs. security, water supply,electricity, cable TV and Telecom facility is available. 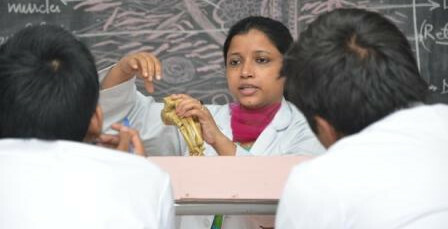 The Institute has on campus a separate hostel for boys and girls undergoing MBBS Programme with separate Mess facilities. Mess serves only vegeterian meals. Hostels have recreational facilities like – Entertainment Room fitted with LCD TV, DVD Player & Cable Connection, Common Room, with facility of Table Tennis, Carrom, Chess & Badminton Court. All hostels have telecom facility. The Institute maintains many Air-Cooled/Air-Conditioned rooms in the Guest House with ultra comfortable board and lodging facilities. The Institute provides the facility of the Guest House to parents/visitors at a nominal cost.